Where to get Mobile Traffic? With a worldwide coverage of 4.77 billion users – as projected to the end of 2017, and which will rise to 5.07 billion in 2019 – we see that Mobile Phones are a key piece of around 70% of the world’s population. From the numbers presented, 2.53 billion are actual smartphones. And the others? Feature phones, which are also monetizable. This can be compared with the Desktop market, where projections state that there are just over 2 billion PCs out there. Can you see where this is going? It seems obvious that the whole world population has got a mobile device on their hands! 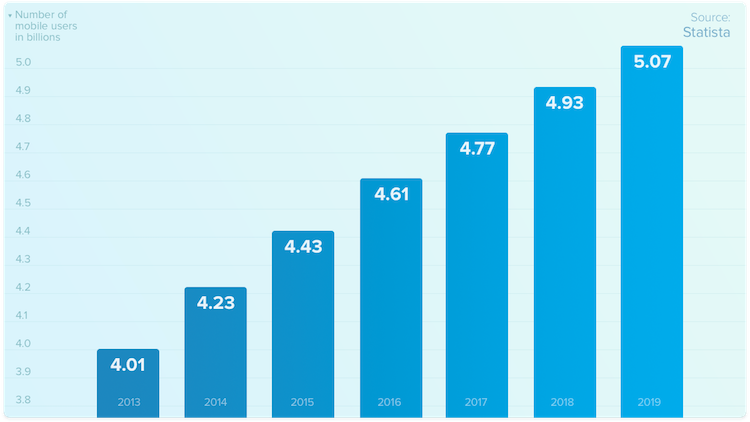 Ever since 2013, where the mobile user base was around $4.01 billion, we’ve noticed a growth of 16% until today, whereas 6% is what’s actually expected to increase until 2019. Still, the numbers are great. Even so, the most incredible fact is the budget advertisers are allocating to the mobile ad market. By 2016, around $101.4 billion were spent in advertising, an increase of 430% comparing to 2013, while estimates show a growth to $195.55 billion until 2019. This, fellow affiliates, is why we’re focusing on mobile! The gold is there to be mined. And according to the stats of known source eMarketer, Mobile actually accounted for more than 63% (more than two thirds!) of the whole digital spendings in 2016. Moreover, we now know that Digital advertising is pretty close (if it isn’t already) to being the number one way of ad promotion, ahead of television, the eternal champ. Mobile isn’t only a trend, though. It’s an exponential market which has pretty much established itself as a way of life. It came, saw and conquered. How many people do we know that say they can have their whole life in their mobile phones? Maybe that’s even us: with the technology available nowadays, and the internet helping us everywhere, we can easily access and work things in our social and professional lives through simple clicks! A popular example is the existence of those traffic-champions – Social apps. We’re referring to Facebook, Instagram, Whatsapp, Pinterest, Twitter, Snapchat and so many others! These platforms are making it possible to connect with friends and family in real-time, with the options of sharing amazing and entertaining content. And we could also enumerate a list of other apps that help us do various tasks such as organize our lives, listen to music, book flights, meditate, shop, and virtually anything we can think of. Luckily for us, these mobile endeavors are also great sources of traffic. What does this mean for us affiliate marketers? A whole lotta that saucy cash, that’s right! It’s like we’re using our desktops (and laptops) mostly for professional purposes, whereas the mobile feature has become an extension of our lives, where we’ll gladly include shopping and personal business activity. So how do you make money in this business? How do you make it rain like there’s no tomorrow? Now you’ve gotta think like a general. Would you send them off without any intel? You need to know your enemy and the lay of the land. You need to know what you’re facing. This land is made up of different Verticals. Broadly speaking, you’ve got Adult and Mainstream verticals. But it’s in the details that you can find the best options for you. 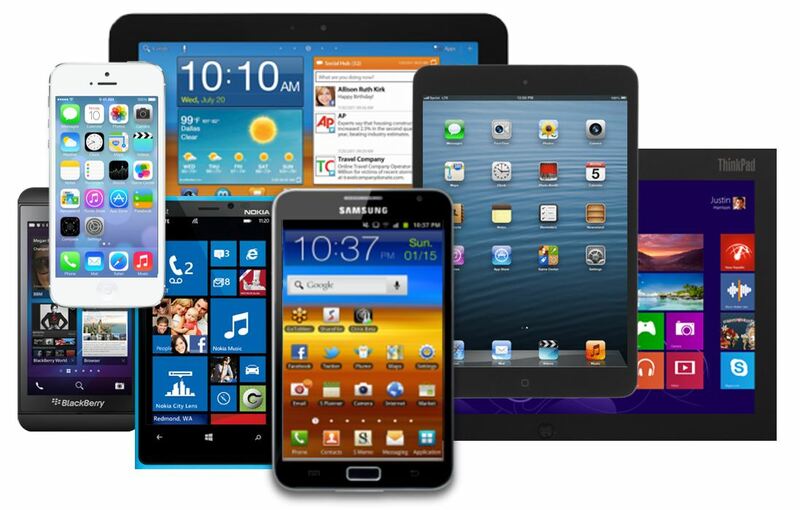 Mobile content is one of the biggest verticals and will continue to be one of the superpowers in affiliate marketing. It presents a number of services provided by advertisers the user can subscribe to (Cost per acquisition – CPA) or install on their phone (Cost per install – CPI). Why is it one of the biggest verticals? Because there are all kinds of mobile content for you to look into! Wanna check some popular affiliate marketing verticals? Utility apps, Sweepstakes, Antivirus, Games, Gambling, Dating, Travel, Adult and Mainstream VOD (Video on Demand), eCommerce and Finance. It’s big, getting bigger and making some serious dough! The global market is expected to grow even more. The mobile marketing market is growing rapidly because of the impressive number of mobile phone users, high internet speed, and increasing use of mobile web and mobile applications. We know those sweet dollar signs are diving into the wallets of those smart enough to play the game right like it’s super tight! Not just that, but taking 2014 as a base year – for example – Mobile in-app ads are growing at about 60 percent a year. They’re even expected to surpass PC online display ad revenue by 2017, according to a report by market researchers IDC and AppAnnie. As you’ve read at the beginning, there’s a growing trend towards mobile budgeting where the budgets are bigger and the potential returns hotter! India, for example, is expected to be one of the major markets for this transformation while continents such as Africa will also eventually become major players due to their large populations using mobile phones for everything in their daily lives. For companies that switch business models which are willing to adapt, the results can be very positive. Electronic Arts switched from a paid model to free-to-play when it launched Real Racing 3, a mobile racing game. The popularity of the app and its revenues skyrocketed. In other words, the mobile revolution affects every country, from Tier 1 countries down to Tier 3 countries. So you know the old saying right? This is very true in the mobile industry. More so, in fact, as this is a very dynamic market. If you don’t have the right kind of info, you can lose out on some major opportunities. You need to invest time and money (because time IS money) in finding the best source of traffic for the products you wanna promote so you can enter this growing market like a champ! There’s a number of traffic sources you can work with. You can spend your time creating a rich content website with which you can promote related content to your visitors. You can contact website owners and buy their inventory made of ad space directly and promote offers in that ad space. Most commonly, though, you can buy traffic from ad networks or DSPs who buy ad space in bulk from many websites around the world and sell it to thousands of affiliates on an ad impression or a click basis. These affiliates then make a return on their invested money by promoting or selling products and services from offers they can get on affiliate networks. Other sources include ad exchanges where advertisers who own offers and publishers with inventory can meet and automatically negotiate the best way to work together. 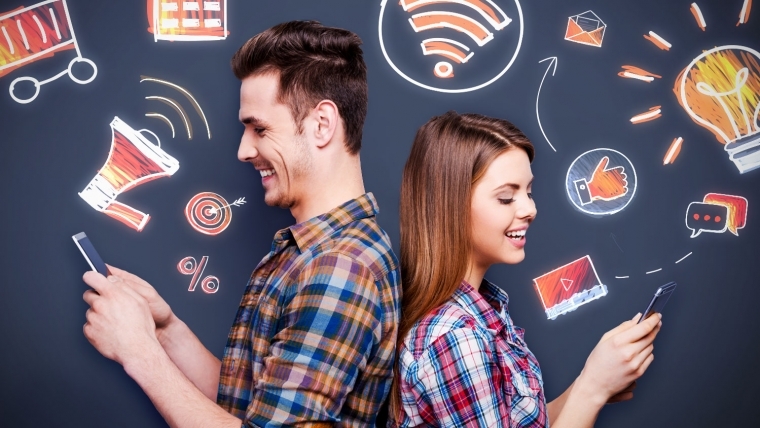 Social media platforms such as Instagram or Facebook are also major sources of new customers and traffic for this market and the growing Mobile market is no exception! Facebook alone has 1.7 billion users with 1.1 billion of them going mobile! Not only that but – between 2014 & 2015 – this number grew by 12% and more than half of these profiles are used at least once any given day. 20 million apps are installed per day and there’s well over 74.2 million unique Facebook fan pages. That’s a whole lotta ground to cover, right? With Facebook Ads, for example, you can target very specific audiences down to interests and age groups. In fact, it’s the perfect 21st century platform to advertise and bring products (or an offer from Mobidea) to as many users as possible. It’s a big market, making a cool amount of revenues and growing on an exponential basis. With the right partners in this business, you can make quite a bit of cash like you’re ready to create a big stash! The ability we now have to contact and connect with someone anywhere, anytime in the world with a simple internet connection. Even so, as the mobile space grows, there’s an increasing need for a meeting forum where different people can talk face to face. Call us two old fashioned boys, but human interaction is still a big thing for most people and between two equally good business partners, someone with whom you have gone out for a drink with will trust you more than some random guy living on the other side of the world. This has a much bigger importance than you think. 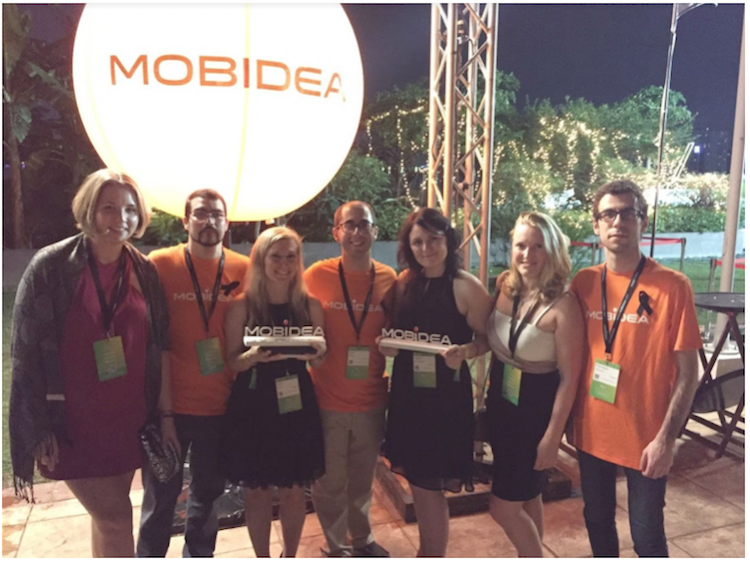 World Mobile Summits are perfect venues to meet with and get to know new and current partners! These events happen all over the world on a regular basis. They really are the perfect way for you to have fun and get to know a different country while working! In these events, you’ll find affiliates, affiliate managers, advertisers, agencies, solution providers and networks. They’re all looking for new ways to further their goals in the mobile market. There, you’ll also have the chance to check some parties and have some fun while you’re young! Keep a business card at hand, just like a soldier with his sword! You never know when you’re gonna have to give a card away! At this stage, it must be pretty obvious for you that there’s a gold mine to be explored in affiliate mobile. Even so, it’s up to you to make it as real as it can be. Search for your best niche, promote the right offers on the right channels (traffic sources) and get really good at it. Ready for some last minute insights? Did you know that 40% of all time spent online is spent using mobile devices? In categories such as Sports, the Weather, Mapping, and Social Networking, to name a few, Mobile is already the number one choice of the general internet user. Remember: many of us still use the internet on our everyday jobs through Desktop. Even so, mobile has already surpassed Desktop when it comes to internet usage. There’s a growing business in Mobile. This is an ever-upgrading wave of new technologies, with outcomes we can surely present to our users (and customers) in the form of offers. Once you’re aboard the mobile play, you’ll also be surfing the innovation wave, keeping up with everything that’s new, and turning those happy occasions into commercial opportunities and revenue making. Moreover, there’s plenty of summits where business people like you gather to combine the wonders of networking and learning with having some fun and meeting new interesting partners. These events happen worldwide, throughout the year. They’re usually themed in the likes of “Affiliate Summits”, “Mobile Conferences”, “Mobile Gaming Gatherings”, etc. Many affiliate networks will keep you updated on these matters as well. Don’t miss these opportunities to expand your horizons and create fresh income streams. If all this was still news for you, you now know that there’s a brand new world expecting your arrival. But if it wasn’t, we hope this article has broaden your perspectives, and that you can become as awesome an affiliate marketer (mobile!!!) as can be! Because there’s a cool chance the players of this game will get rich. Very rich.